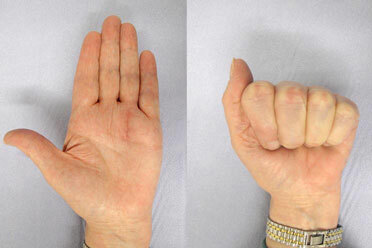 Surgery is often useful for those patients with a trigger finger or trigger thumb that has failed to respond to non-operative treatment. 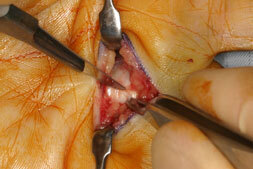 It is a relatively minor operation performed under local anaesthetic as a day case. 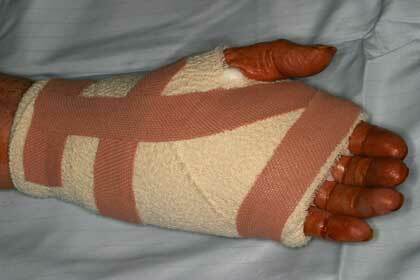 A trigger finger or trigger thumb release is a relatively minor operation which is performed using local anaesthesia. Because the operation is done under local anaesthetic there are usually no restrictions on eating or drinking before surgery, although you should check with your surgeon to be sure. You should arrive at your alloted time. Your preoperative letter will tell you whether you require to bring any specific items, although it is common requested that you bring a dressing gown and slippers. Figure 4: Result after 6 weeks. Notice the scar can still be seen but this will fade further with time. Nerve injury has been described but this is uncommon. 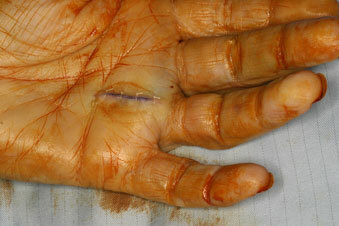 The painful locking should resove soon after your operation. The surgical scar usually heals well and once the redness and lumpiness has resolved it fades and looks like a skin crease.